"Roman is a highly professional sports masseur, who has a tremendous knowledge of the body. He is courteous and trustworthy and delivers an excellent service. He is both very strong but also gentle, tailoring each session to the needs of the body at that particular time. He also develops his approach by incorporating relaxing parts of other massage traditions, for example Indian head massage. Roman also gives helpful feedback on habitual storage of tension in the body, suggesting exercises and techniques to help maintain a relaxed state. Roman's massages have helped me to sleep better, recover from illness and encouraged me to train harder at the gym." "Roman is reliable, professional and above all, very very good! I wouldn’t hesitate to recommend him." "The difference seeing Roman regularly has made to my chronic/acute back pain is without measure. His work is very strong and clear. He is grounded, sensitive and intuitive, creating a real sense of comfort and safety within the intimacy of your own home for the treatment. I am really happy to have found him, and value him very much as a part of the continuing support of my body, mind, heart and soul". Totally Amazing “Roman is incredibly talented. Makes you feel perfectly at ease when he comes to your home, and within minutes you are totally relaxed on his extremely comfortable massage table. Perfect music, incredible massage, really eased the tension in my neck and shoulders. WIll definitely book again!" Incredible Experience! Roman is a wonderful man who really knows what he's talking about! It was one of the best massages I have ever had, and he is very good at creating a relaxing environment in your home. He obviously puts importance on a healthy, stress free lifestyle on top of taking time to have such treatments. Will definitely use him again. Marathon Training Savior! I used Roman while I was training for various marathons and I have to say that he is one of the best masseurs that I have used. His technique was very good, applying firm but not uncomfortable pressure. I felt at ease with him during appointments and would highly recommend him to others! Home massage to help ease trapped nerves! Extremely professional, arrived on time and with everything he needed. He made me feel very comfortable and at ease. The massage was very good, strong pressure. He also gave very good advice with regards to stretching exercise to help the trapped nerve in my leg. He was courteous and friendly and I can highly recommend his services! Superb professional massage at home Roman 'ticks the box' for what was needed. I've had fortnightly massages for years; and can certainly recommend Roman to everyone in need of an intensive massage. Thumbs up! The real deal! serious massage! I'm a law student with lots of stress and a bad back... Roman knows every muscle, has great pressure and good rythem. I recommend him if you need to be put back together! 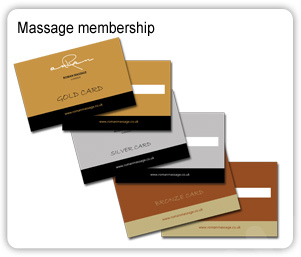 Superb massage without having to leave home Would recommend Roman without any hesitation. Have been using his service on a regular basis for almost a year now and can't be happier. He is professional, courteous, friendly and, most importantly, gives great massages. Prices are reasonable as well! Amazing massage! Roman's massage has been our monthly treat for about a year now! He is truly knowledgeable and gives useful advice on stretching, posture and etc. Very nice and friendly and I must say the BEST massage service i have received so far. As a girl, me and my bf can only trust Roman coming over to our house for massage, he is very professional and gives very relaxing and effective massage to relieve aches etc. Not to mention that he is always on time and very friendly/personable. Hats off to Roman! Just finished a 1hr deep tissue massage session, and cant wait for next mth's! Thanks a lot Roman, you are a champ and as always you deliver first class service everytime! I would definitely recommend!! THE MAN you need for massage. Hands down I'd highly recommend Roman for anyone who needs a great massage be it leisure or therapeutic. Anyone who does lots of long hours in an office environment like myself will definitely benefit from his physiotherapy massage and his advice on body stretching to help cope with fatigue. Roman is extremely professional yet very personable. Highly recommend, top notch! Great guy - perfect massage Roman came over to my house a week ago and gave me a great massage... he really worked the muscles and eased the strains and tensions that I had in my legs and shoulders. He was prompt, friendly and very professional. He is also a physio which means that he really understands the body well. Highly recommended! Extremely Knowledgable Professional Roman is an extremely knowledgable professional, who combines great strength with tremendous experience of therapeutic techniques and a sensitivity to the right level of pressure. He is always keen to adapt his treatment to the needs of his clients and also provides valuable advice on sports training, diet and stretching. He deals very effectively with strains and stored-up tension and his massages are always excellent. He's a very trustworthy and respectful massage therapist. Incredible masseur! I highly recommend a massage by Roman Bilik. Roman is highly professional with a wealth of knowlegde of the muscular system. His massage is therapeutic, focusing on problem areas whilst being so incredibly relaxing. You will feel so amazing afterwards!! Amazing massage experience! I had a wonderful massage with Roman. I desperately needed some deep tissue work on my neck and shoulders and Roman really worked hard to loosen my tension. He arrived half an hour early which was great as I was exhausted after a day's work and really wanted an early night. He was polite and friendly and immediately put me at my ease. He put to good use the detailed information I provided in my initial written assessment. The massage was unlike anything I have ever received before! My neck and shoulders quickly became "unlocked" under his firm touch and I've continued to feel the benefits ever since! Roman's after care was also brilliant. He gave me some useful stretching exercises to do and even checked in with me the following day to make sure everything was okay. No other masseur has ever done that with me! I cannot recommend Roman highly enough! And I can't wait for my next massage!